The Tough Headwear Satisfaction Guarantee: If for any reason you're not 100% satisfied with our headwear, just let us know. We'll refund or replace your product faster than you can say "burrrrr". How can we make this incredible guarantee? Because we're outdoor adventurers from California who've tested our headwear in every condition possible. We never go on an adventure without our Tough Headwear, and we know you'll love our balaclavas! ULTIMATE PROTECTION from COLD, WIND, DUST & UV: Our balaclava protects you against the elements whether you blaze down the slopes like Shaun White, shovel snow faster than a John Deere snowblower or ATV in the desert like Mad Max ULTIMATE COMFORT: Our stretchy, breathable fabric protects your face while wicking away moisture. The fleece lining retains heat. To prevent stuffiness, our balaclavas feature mesh breathing panels to increase airflow while minimizing condensation on your goggles. That's why you'll be smiling as the elements bear down on you ULTIMATE VERSATILITY: Wear your balaclava on its own or under a helmet. Wear it as a full face mask, open balaclava, half ski mask or neck gaiter. Just don't wear it in an airport or bank! 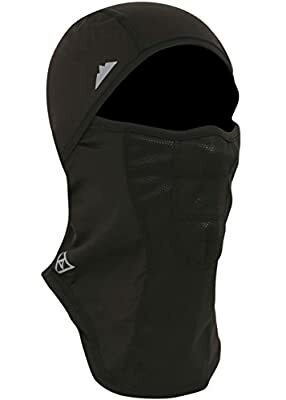 People use our balaclavas for skiing, snowboarding, riding, ATVing, hunting, construction, warehouse work and shoveling snow. STAY SAFE & SEEN AT NIGHT: Stay seen as you're hitting the slopes, biking, or working at night. 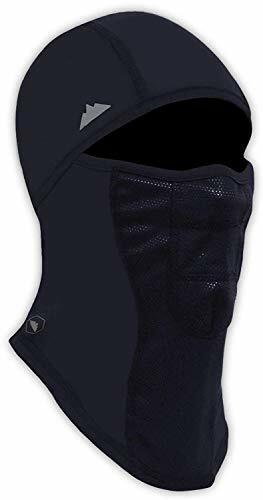 Our balaclavas are designed with small reflective logos on the front, sides and back. This product is NOT meant for bank robbers. CUSTOMERS LOVE US AND OUR LIFETIME WARRANTY: Yes, they do. And you'll love us too. With over 8000 5-star reviews on Amazon, our headwear products are the #1 choice for Amazon customers. We put a lifetime warranty on all our headwear products. Beat that.